The needles don’t hurt, and you feel better. Part of what makes my treatments different from other acupuncturists is that I spend time counseling my patients on nutrition, lifestyle, exercise, supplements, emotional balance and stress management to help create wellness. It makes no sense for you to come in to get treated for something that is being caused by lifestyle factors and expect to get better just from acupuncture. You spend one hour out of the 168 you have every week with me. If you are eating food that creates inflammation, missing nutrients that create reproductive hormone imbalance, sitting at your computer desk wrong creating neck pain, dealing with emotional issues….you get the picture. If we don’t address your food, nutrients, stress, ergonomics, etc, etc, the ROOT CAUSE of the problem will never truly get better! This is true for every condition that my patients have. When you learn what is making you sick and are learn what you can do to change it, you will feel better. Acupuncture opens the door to wellness and provides a path to wellness that you walk through. That is why initial appointments are two hours: the first hour for a health history and counseling, and the second hour for a treatment. My patients report that the lifestyle counseling is one of the most valuable services that I provide because it puts them in charge of their well-being! The first appointment will take 2 hours. 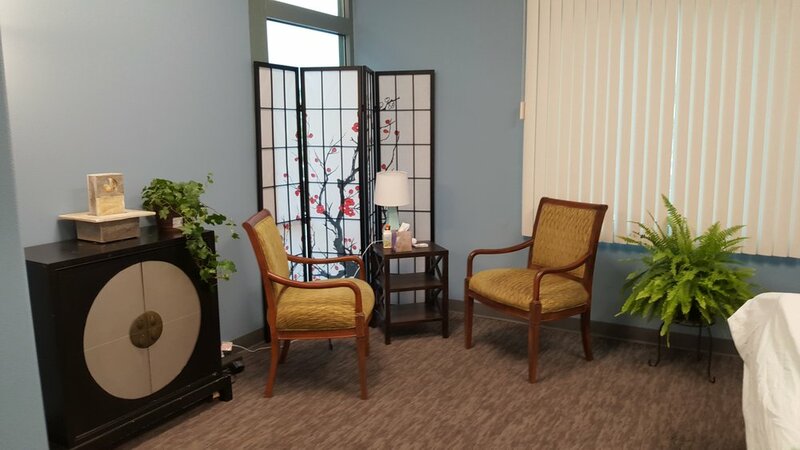 I will take a comprehensive health, emotional, and physical history and create my diagnosis, give recommendations for lifestyle changes you can make to support your health in the first hour, and you have your first acupuncture treatment during the second hour. Chinese herbs can be an important part of the healing process. They speed healing and reduce the number of visits you will need because they are formulated specifically for you and your condition. The herbs are not a forever thing; as you heal, we reduce the dosage until you no longer need them. I ask that you bring a copy of all fertility exams and bloodwork that you and your partner have had, and fill out my paperwork. I take all that information to create a diagnosis and treatment plan after the workshop. The next step is your first acupuncture appointment, which we schedule after the workshop. At that appointment, and in addition to acupuncture, we will be refining your diagnosis and treatment plan. Payment is due at time of service. I do not bill insurance; however, the receipt I will give you has all the information you need to file a claim if your insurance company will cover acupuncture treatments. Please check with your plan to understand what they cover. I ask my patients to plan on 4 once a week sessions, and then we space out the treatments depending on how you are responding to the treatments. In my experience, by having a weekly treatment for four weeks, you will notice improvement faster. My goal is to help you help yourself, so you can live a life that is full of ease and truly thrive. The needles are one-time use, disposable, sterile needles. There is no risk of transmission of any disease. They might pinch or tingle, but they rarely hurt. They are nothing like the needles doctors use! Each needle is the width of 3 human hairs, goes in less than 1/4”, and you generally don’t feel it. For the true needle phobic, I offer laser treatment therapy. You will leave feeling better and with a whole new set of tools and ways to change your lifestyle so your healing will create a life of wellness.